Satisfying your appetite for culture. A Delectible Local Dish. Holy Crepe, That’s Good. It all began in a little region in the north-west of France by the name of Brittany. A stuffed pancake of sorts was brought into this world and conquered France, one delicious combination at a time. Ladies and gentlemen, the crepe. The crepe itself is a paper-thin pancake made from wheat flour. What we are most familiar with are the meals known as crepes. Since the crepe is a plain-tasting pancake, the dishes you can create with it are endless. Essentially, you can find whatever you like, put it inside of a crepe, and enjoy your very own creation. 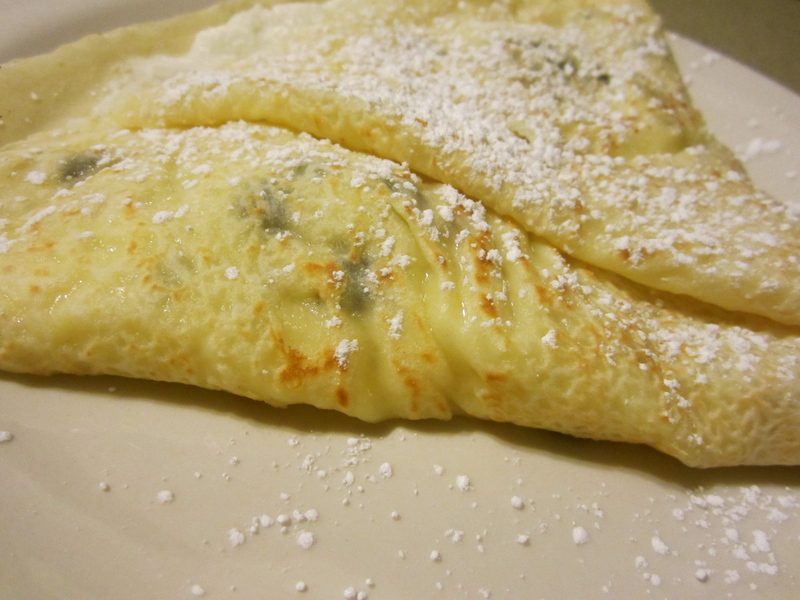 Crepes are divided into two categories: sweet and savory. 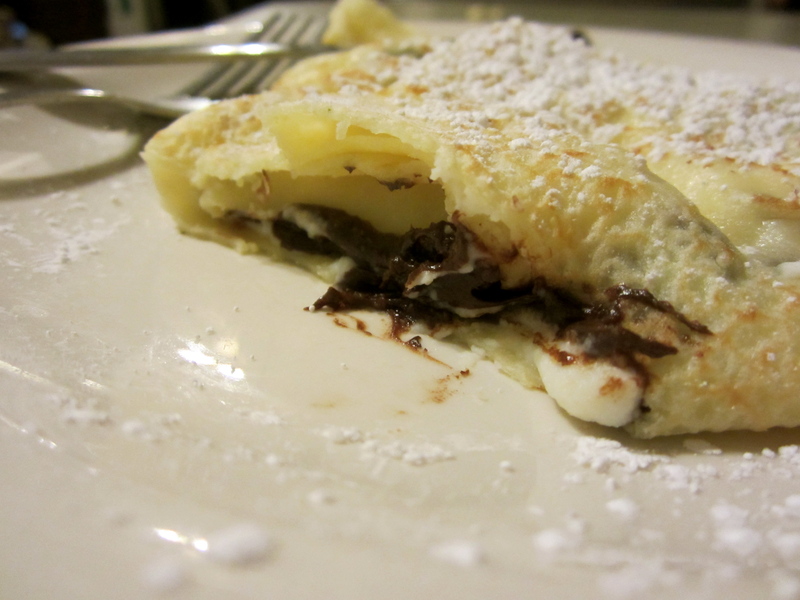 Sweet crepes oftentimes include fruit, whipped cream, sweet ricotta cheese, jams, chocolate chips, cinnamon or Nutella. Savory crepes can be made up of different meats (ham is popular), cheeses, and vegetables. My go-to crepe is made with banana, Nutella, and whipped cream. In my opinion, you can’t go wrong with a good ol’ fashioned fruit and chocolate combination. However, more recently I’ve decided to take the adventurous route, yet again, and try something new. When it comes to food, nothing is out of my comfort zone, so I wasn’t worried. I ventured to Jobot Coffee Shop on 5th St. in downtown Phoenix and I have now spent three consecutive evenings at this location. Their large crepe menu fueled my craving for one of these French dishes and I decided on a crepe made with sweet ricotta cheese, toasted almonds, and chocolate chips. A crepe inspired by the Italian dessert, the cannoli. With its unique texture and rich flavor, I fell in love. You’d be surprised by how many places offer crepes, sweet and savory. But if you don’t feel like leaving the kitchen to acquire one of these delicacies, making them at home is a simple task. All you need is a simple batter mixture and your filling of choice. My sweet tooth recommends chocolate. Día de los Muertos: A day to honor the dead, and enjoy delicious bread.